Does Netflix Fury Show How Addicted We Are to Subscriptions? Five years ago I ended my Netflix (NFLX) subscription. I have never regretted it. At the time, I paid around $20 a month to have three DVDs in rotation at any given time. After a few months of watching the signature red envelopes collect dust, which caused me endless guilt, I understood something about myself: I don't watch nearly as many movies as I thought I did. I canceled my subscription. When the service moved to offer a less expensive streaming online-only option, I tried again. And once again, I still didn't watch more movies. For me, paying for Netflix was paying for the option to watch movies, not the movies themselves. 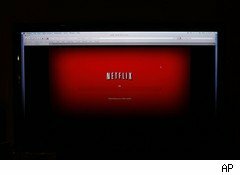 Netflix's Tuesday announcement over changes in its pricing scheme - now $16 for streaming and mail-order, and $8 for streaming-only - incited mass consumer fury. While there were wrinkles in Netflix's execution of its new deal, the customer freak out underscored how tethered we have become to subscription services. The reaction has been akin to a landlord suddenly jacking up rents, and we, as the renters, feel utterly powerless. Except that we do have power, and we don't need movies in the same way we need shelter. That perception of powerlessness is entirely in our hands as consumers to act upon. "I could drop down to steaming-only or one disc only for $8/month, but I love the convenience of having both options. But, then again, if I cancel Netflix all together, what are my other options? It's a goofy little money perception thing that will ultimately force my decision. Eight dollars a month out of my account is nothing, $10 (my current price for streaming and one disc) also goes unnoticed from my account. However, that extra $6 (I know, a whole $6?!? haha!) makes it feel like an actual monthly bill, and therefore, a burden." The price hike makes the previously invisible spend now feel like a burden. As it should. The jump for the whole-hog Netflix plan represents a 60% increase for some of its customers -- a giant step up by any standard. And the unspoken cost is, of course, the price of broadband Internet service customers also pay, likely on top of a cable bill, cellphone bill and other media subscriptions. In the end, how much media - and how many subscriptions - do we really need? Even as the offerings around us increase, there are still only 24 hours in a day. The move into a subscription-based consumer economy has been dramatic over the last 10 years. Recurring monthly bills, once limited to utilities and rent, are now part of every aspect of consumer life. Digital books, apps, magazines, movies, games, news, cars, furniture - whatever, you name it - can all be secured for a monthly fee. But the accumulation of these fees, which all seem very reasonable when presented alone on a virtual cake stand, quickly add up into the hundreds, if not thousands, of dollars. Add to that cost, the time spent managing accounts and chasing down billing mistakes, the guilt of paying for unused goods and services, and the effort of retrieving forgotten passwords. The trend toward subscriptions is not going away anytime soon, and growth of the tablet industry will only add more pressure. One industry analyst predicts that 40% of all businesses selling media and digital products will rely on subscription management partly or entirely as a business model by 2015. This represents a slippery slope for all consumers: The option and availability of services and media galore is tempting, but getting roped into long-term spending relationships with multiple media outlets can represent a money pit, particularly for the services underwritten with credit cards. J.D. Roth, founder of the personal finance blog Get Rich Slowly, told DailyFinance his preferred money-saving technique to eliminate all subscriptions. I don't disagree. It is liberating to read a monthly statement that is devoid of membership and subscription fees. Today, I still consume plenty of movies and other digital media, whether going to the movie theater or paying for on-demand, which can cost me up to $13 a movie. (Hulu (GE) and Apple iTunes (AAPL) are my preferred online sources.) My per-movie individual cost over the year may tally up to slightly more than a monthly unlimited plan, which is now almost $200, but in the end I am happily off the subscription merry-go-round. Catherine New is a staff writer with DailyFinance.com. You can reach her here.